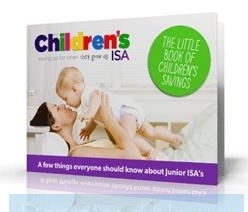 The Junior ISA is the new investment vehicle introduced by the Government to replace the now cancelled Child Trust Fund, under which scheme each child born in the UK between September 2002 and the 3rd of January 2011 was entitled to a tax free savings allowance of £1,200 per annum as well as a starter payment from the Government six months after birth and a further payment on the occasion of the child’s seventh birthday. On the face of it the Junior ISA appears to be a low risk, tax free investment with a relatively high yield considering the risk level and it is being touted in some quarters as the only sensible choice. This may be fair comment but nonetheless it is an investment and, like any investment, it carries risks. So what are the risks of the Junior ISA? Before looking at the risks to individuals who do invest money in the Junior ISA, what about the risks of withdrawing the Child Trust Fund? This decision has been criticised by many. Parents on medium to high salaries with a decent amount of disposable income routinely save for their children’s futures and always have. The idea of the Child Trust Fund was to encourage parents on low incomes, with little spare cash each week or month, to do the same. It was felt that by the Government opening an account on the child’s behalf and making an initial contribution this would get around the problem of parents not “getting around to it”. Even a contribution of just £100 per year could result in a final yield of £3,000 – £4,000 at eighteen years of age. The fear is that while the potential returns from a Junior ISA may be attractive the removal of the incentive will have a detrimental effect on take up amongst the section of the population who need it most. Once a Junior ISA is opened and money is paid in then unlike an adult ISA that money nor any profits from it can be withdraw until the child reached eighteen years of age. This is actually touted as one of the benefits and in some ways it is, however over that length of time financial circumstances change and unexpected financial demands arise. A Junior ISA cannot therefore be used for a rainy day and a separate fund would be needed for that purpose. Furthermore, when a child becomes eighteen it is he or she and not the parents who have access to funds. The parents have no control and the child is free to withdraw the money and spend it as he or she wishes. For an eighteen year old there will clearly be a temptation to fritter the money away rather than putting it to sensible use. Other types of investment may give parents greater control over how the funds are eventually spent or when they are received by the child. Personal debt in the UK is at an all time high and the average pension pot is far too low. Clearly the best thing a person can do to improve his or her financial situation is to pay off as much debt as possible. This doesn’t just mean credit cards and loans but mortgages also. The introduction of schemes such as the Junior ISA and its predecessor the Child Trust Fund can have the effect of pressuring parents into investing in them at the expense of securing their own financial future. Apart from putting parents at risk of struggling in their retirement, they are likely to end up less well off as they get older. Children might end up having to support their parents from a younger age than they might expect and there is likely to be less inheritance available. Of course the Junior ISA is great news for the banks – as well as receiving funds which they know they do not have to give back for eighteen years, people are less likely to pay off debt which means any interest paid out on the ISA is more than recovered from interest on outstanding debt.